Director Todd Phillips has just released the trailer for his latest venture, and it’s not a Hangover film! Phillips made his name with the ‘Hangover‘ comedies and the Will Ferrell based ‘Old School‘. 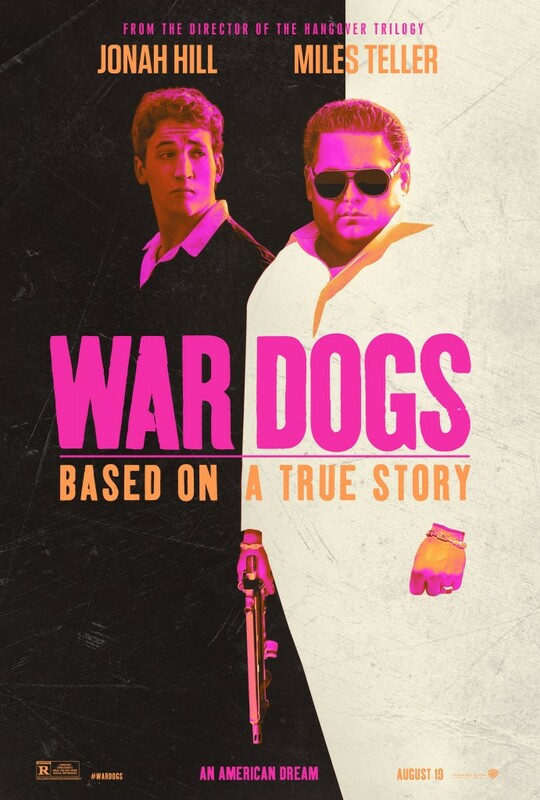 This time he’s taken on a different story and working with Miles Teller and Jonah Hill telling the true story of two young men, David Packouz and Efraim Diveroli, who won a $300 million contract from the Pentagon to arm America’s allies in Afghanistan. I’ve been waiting for a comedy duo with Teller and Hill for quite some time. These two actors are hilarious and seem to be excellent at improv and making people laugh. Add to that, they are both great dramatic actors, as we’ve seen in the past few years. Let’s hope for the best here. Check out the trailer, hopefully you’ll laugh like I did and then hit theaters for it’s debut on August 19. This entry was posted on Thursday, March 24th, 2016 at 4:14 pm	and is filed under Film, News. You can follow any responses to this entry through the RSS 2.0 feed. You can skip to the end and leave a response. Pinging is currently not allowed. « Will Kevin James Win an Oscar Soon? Hey Luz, can you do Major Horton? [imitating Major Horton] Does a wild bear crap in the woods, son?